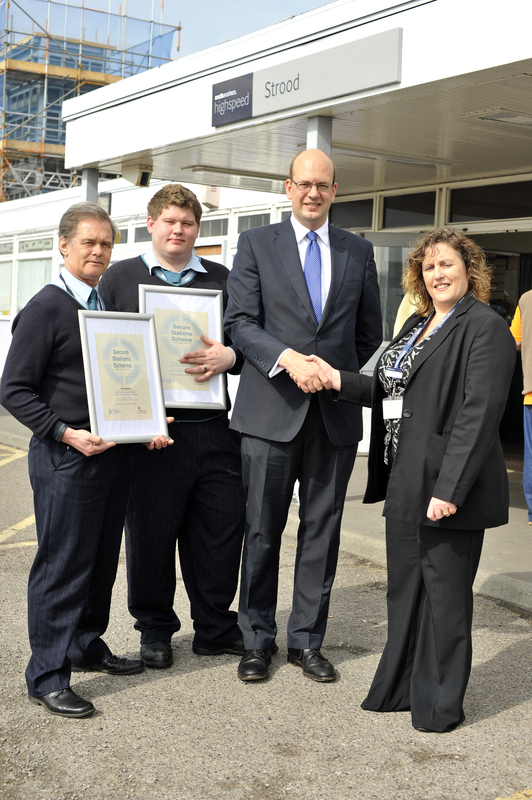 Mark Reckless, MP for Rochester and Strood, was delighted to meet and congratulate staff and station managers at Strood railway station after both Rochester and Strood stations were recognised by the Department for Transport under the ‘Secure Stations Scheme’. The scheme, which is run by the Department for Transport and the British Transport Police, recognises stations which effectively work to reduce crime, theft and antisocial behaviour, as well as generally making passengers feel safer and more secure. “This is very good news for rail passengers in my constituency. I am very pleased that both Strood and Rochester stations have fulfilled the criteria to be included in the Department for Transport’s ‘Secure Stations Scheme’. The Scheme’s guidelines are very stringent and it is clear that the management and staff at both railway stations have worked hard and deserve this recognition. This accreditation shows that not only have managers and staff met the tough targets which are set by the Department for Transport and British Transport Police, but that passengers using these stations have seen a real and welcome difference in the service which they receive. I was proud to vote for HS2 with the majority of 452 against 41 just before 11.30pm last night. An hour before I was the penultimate backbencher to speak, with the benefit of the Chamber beginning to fill before the ministerial wind-up speeches and votes, and made the case for a proper HS1/HS2 link. The government needs to understand the benefits are at least as much about cross-London domestic travel e.g. from Ebbsfleet and Stratford to Old Oak Common, Heathrow, Birmingham and beyond as they are about a direct link between cities to the north and Europe – see Greengauge21 report here. I believe I made progress making that case to ministers while making the positive case for HS2 overall. Not everyone seemed to know how conservative HS2 had been in calculating benefits or allowing a £14 billion contingency that is 95% likely to be underspent. I also have no answer from opponents of HS2 who claim that only London will benefit and the north will be harmed by cutting the journey time from Manchester to London from just over two hours to just over one hour. If they truly believe that, why don’t they campaign to double the minimum journey time to over four hours, or have a man walk in front of the trains with a red flag, to really get the economy going? Older people from the Hoo Peninsula have told Mark Reckless that he must ensure that the needs of older people in rural communities in England are properly considered by all levels of government. The call came at an event hosted by Karen Treacy of Age UK Medway at The Village Hall, Mallard Way, Lower Stoke, Rochester on 23rd August 2013 and was part of Age UK’s nationwide campaign “Later Life in Rural England” which aims to raise awareness of the challenges and opportunities faced by older people living in rural England. 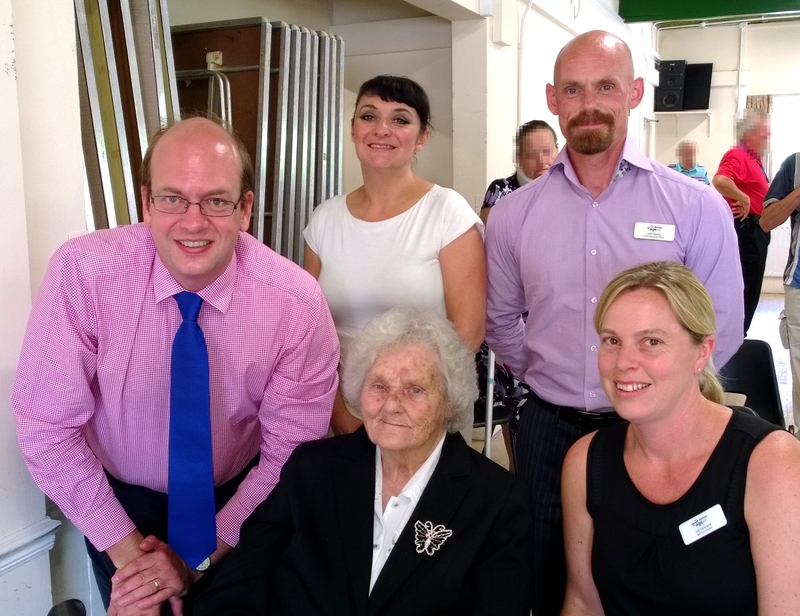 “I was delighted to meet with some of the older members of our community to listen to and discuss their concerns about living in the countryside. There are many positive aspects of living in a rural environment – people in the countryside do tend to live longer. However, as we heard, there are also a number of issues which we need to continue working on such as rural transport, energy costs, and access to health services. “Life in rural parts of Medway can be tough for many older people with too many struggling to get to the shops and hospital because of lack of local bus services. To support the Later life in Rural England campaign or to find out more, please visit www.ageuk.org.uk/rural or contact Alice Woudhysen, Senior Campaigns Officer on alicewoudhuysen@agueuk.org.uk or 02030330516. 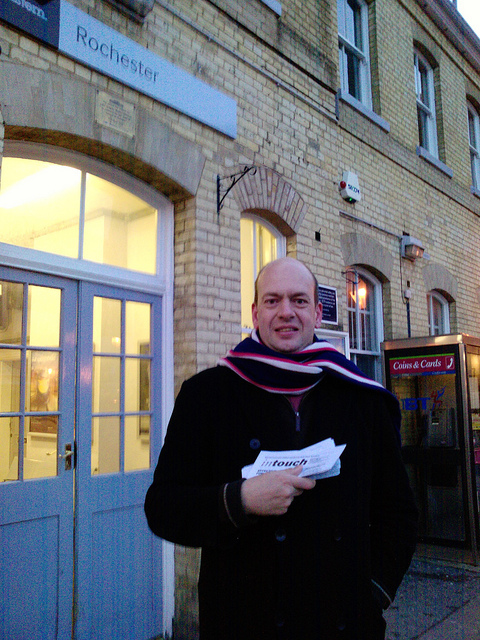 Mark Reckless MP has welcomed the news that Rochester railway station is set for a massive £26m rebuild. The proposals, which are part of Network Rail’s scheme to invest £37bn in rail infrastructure across the UK, will see the station move from it’s current location at the Chatham end of Rochester High Street to Corporation Street opposite the cathedral in the heart of Rochester. Work is expected to be completed in 2015. “Following my successful campaign in 2009 to get rush hour fast services to Victoria and Cannon Street to stop at Rochester, the station has seen a considerable increase in passengers using the station for their daily commute. The proposed plan to rebuild the station as set out by Network Rail will come as a welcome boost for many of the hard-pressed commuters in my constituency who, for too long were hit by RPI+3% increases with no commensurate improvement in the service or facilities which they use on a daily basis. For further information on Network Rail’s plans for the South East click here. 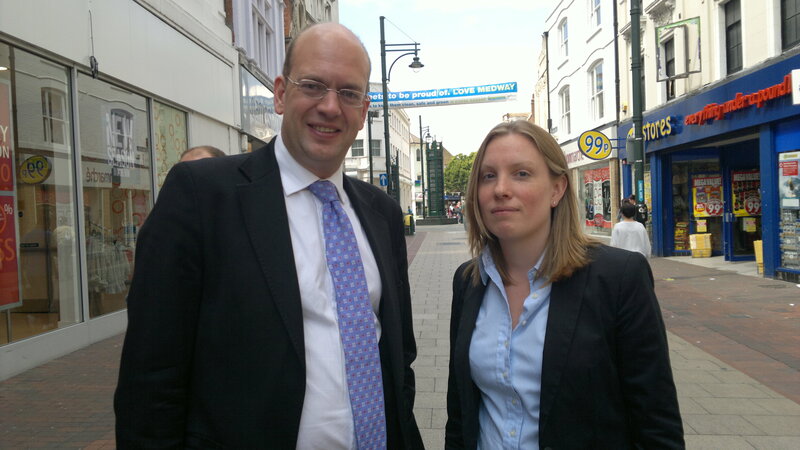 Mark Reckless, MP for Rochester and Strood, has welcomed the announcement by the Prime Minister earlier today that rail fare increases for 2013 are to be capped at RPI+1%. At last after years of campaigning, particularly with Tracey Crouch MP, both in public and equally importantly by lobbying ministers in private, we have ended Labour’s disgraceful policy of increasing Southeastern rail fares by 3% over inflation annually. By exposing the effect it had when Labour used our commuters as guinea pigs for RPI +3% we have succeeded in protecting commuters nationally. I would like to thank Radio 4 for the support which they gave me with the campaign, including coming to Grain at 6am and then Strood to meet commuters getting the coach to London because they could not afford the train. A victory for long-suffering Southeastern commuters with whom I will now work to stop even 1% above inflation increases as soon as we possibly can.